I had the chance to visit my dear friend Molly in the northern Colorado town of Boulder. When we met up in Italy, she told me to visit her when I came back to the States. 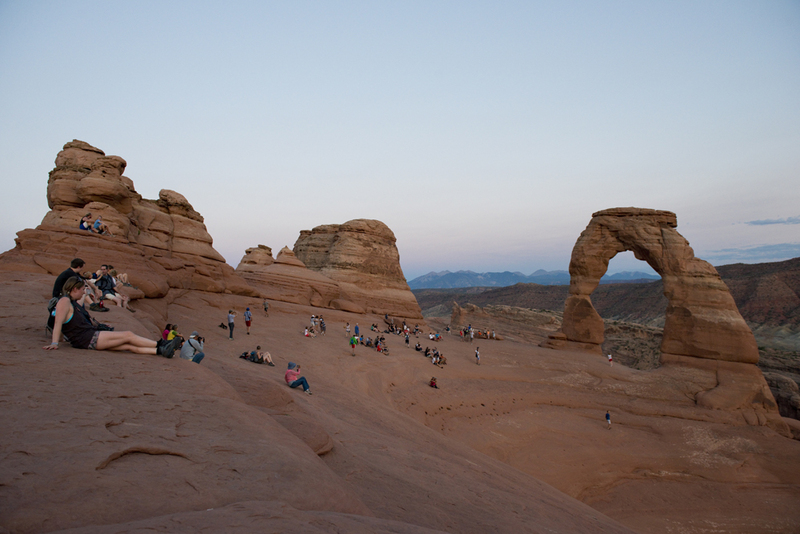 The quickest route's halfway point (clocking in at 6 hours) was to Moab, Utah, home of Arches National Park. 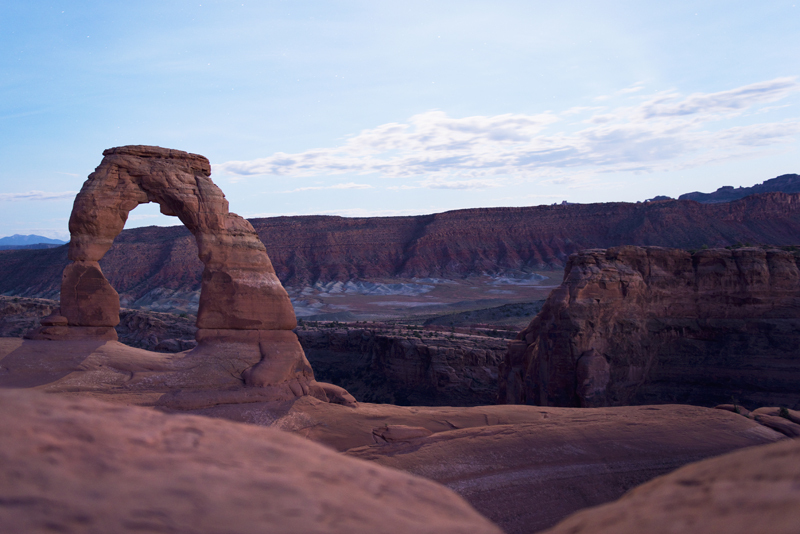 Its most famous structure, the Delicate Arch, is a must-hike to witness in person. Utah is so proud that it's even depicted on their license plates. I went out with the intention of staying there until night fall, then getting a long exposure of the arch with the night sky and stars. Yes, be prepared for a lot of people. The hike is easy so it draws a fair crowd. People began leaving and the kangaroo rats started scurrying about. I'm embarrassed to admit it but I definitely got a little creeped out being all alone in the dark. I didn't wait for the sun to drop down any further; I got my exposure and took off into the night, thinking of all the worst possible things that could happen to me. I still like what I got, though. Moon shadows are a beautiful thing! I set out in the morning for another 6 hour drive from the Moab KOA. The sweepingly beautiful and barren desert landscape transitioned to lush pine trees and a view of the Colorado River running right along the highway. Boulder is nestled at the base of the Rocky Mountain foothills, offering both stunning outdoor accessibly and the metropolitan city of Denver in about a half an hour (without traffic!) It's also home to the University of Colorado at Boulder, where Molly is a student.